Superzoom "bridge" cameras are performing well in the UK and Europe, according to both Canon and Nikon, despite the apparent decline in compact camera sales. Bridge cameras are a bit of an odd category, technically falling into compact territory because of their small sensors, but aesthetically they often resemble something approaching compact system cameras or DSLRs. It is a category that has been around for a relatively long time, and it seems to be one that is growing in popularity, with manufacturers keen to emphasise the huge zoom capabilities these kinds of camera can offer. 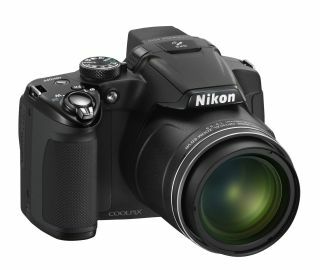 That includes recent introductions from Canon, which unveiled the Canon Powershot SX40 with its 30x optical zoom lens and Nikon which revealed the Nikon Coolpix P510 with an incredible 42x zoom offering. Jeremy Gilbert, Nikon's UK Marketing Manager told us, "They've [bridge cameras] have always been popular, but we didn't have a strong enough range until now. We ignored it for a bit too long." Meanwhile, Nicolas Gillet, Product Manager for Nikon Europe told us that there was increasing demand for bridge cameras across Europe, believing it was a way for cameras to beat the rise of mobile phones ready packed with good cameras. Canon has packed some of its advanced technology into its SX40, with it featuring a Digic 5 processor, which at the time of release was only available in some of its more expensive products. David Parry from Canon UK told us that sales of the bridge camera was doing well. "Bridge cameras are still strong. Our SX40 is a really good camera for us, especially for those people looking for a travel or safari camera." It may seem a little surprising that compact system cameras haven't reduced the demand for bridge cameras, but when you consider that something like the SX40 can be picked up for around £340 and you don't have the hassle of changing lenses, the appeal starts to become apparent. Where bridge camera technology goes remains to be seen. Some manufacturers seem to be increasing the size of their cameras, as in the Fujifilm X-S1 to give the appearance of a DSLR. Meanwhile, small form - high zoom compact cameras, such as the Canon IXUS SX240HS, which packs a 20x zoom, are also doing well. It seems, for now at least, it is those cameras offering ever increasing zooms that are winning the war.